Mein Name ist Adriano Guedes Carneiro. Ich bin 40 und wohne in Teresopolis, Rio de Janeiro, Brasilien. Seit 2008 habe ich geforscht Ziel Stammbaum der Ursprung meiner Familie. Erhalten mit anderen Gelehrten, dass ich von LAURENT HARDI, die in Herznach, Aargau, am 11. August 1775 geboren wurde bin herabgestiegen. Laurent würde nach Brasilien im Jahr 1819 kommen, denn zusammen mit anderen Siedler, die Gründung der Kolonie von Burnt Hill, New Fribourg. Interessante é a informação sobre os pais de LAURENT HARDI (LORENZ HERDE). Aqui assinalados como MAURITIUS HERDI E THERESIA ZUNDLER. Mauritius é a forma latinizada, o qual poderia muito bem ser MORITZ. Da mesma forma Theresia poderia ser substituída por THERESA ou THERESE. In the 17th century, Jews were banished from Switzerland. However, a few families were permitted to live in two villages, Endingen and Lengnau, in Aargau which became the Jewish ghetto in Switzerland. During this period, Jews and Christians were not allowed to live under the same roof, neither were Jews allowed to own land or houses. They were taxed at a much higher rate than others and, in 1712, the Lengnau community was "pillaged." In 1760, they were further restricted regarding marriages and multiplying. This remained the case until the 19th century. 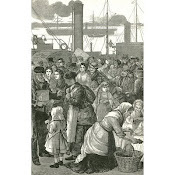 In 1799, all special tolls were abolished, and, in 1802, the poll tax was removed.On 5 May 1809, they were declared citizens and given broad rights regarding trade and farming. They were still restricted to Endingen and Lengnau until 7 May 1846, when their right to move and reside freely within the canton of Aargau was granted. On 24 September 1856, the Swiss Federal Council granted them full political rights within Aargau, as well as broad business rights; however the majority Christian population did not abide by these new liberal laws fully. The time of 1860 saw the canton government voting to grant suffrage in all local rights and to give their communities autonomy. Before the law was enacted, it was repealed due to vocal opposition led by the Ultramonte Party. Finally, the federal authorities in July 1863, granted all Jews full rights of citizens. However, they did not receive all of the rights in Endingen and Lengn until a resolution of the Grand Council, on 15 May 1877, granted citizens' rights to the members of the Jewish communities of those places, giving them charters under the names of New Endingen and New Lengnau. The Swiss Jewish Kulturverein was instrumental in this fight from its founding in 1862 until it was dissolved 20 years later. During this period of diminished rights, they were not even allowed to bury their dead in Swiss soil and had to bury their dead on an island called Judenäule (Jews' Isle) on the Rhine near Waldshut. Beginning in 1603, the deceased Jews of the Surbtal communities were buried on the river island which was leased by the Jewish community. As the island was repeatedly flooded and devastated, in 1750 the Surbtal Jews asked the Tagsatzung to establish the Endingen cemetery in the vicinity of their communities.